If you have a bill or receipt that includes multiple items to expense, you may need to split the expense into parts in order to properly categorize each item. 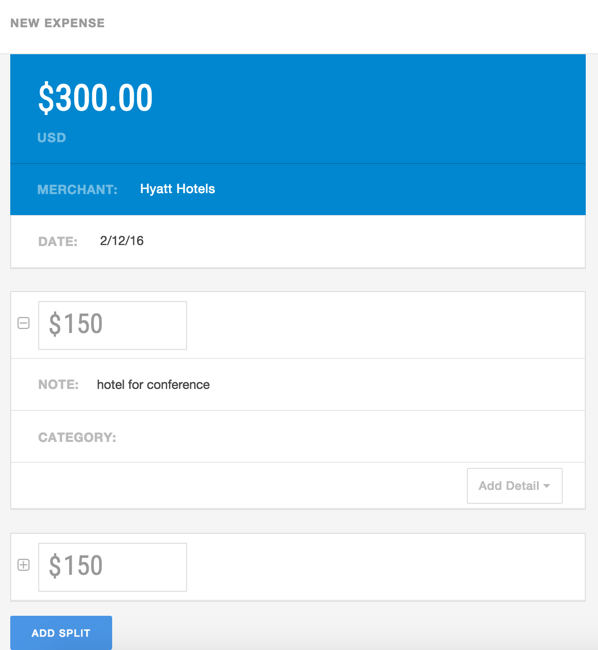 A common example is a hotel bill that includes lodging and meals, where each item needs to be categorized separately. The meals could also need to be coded separately by client, or given a different note to add context to the meal. At the bottom of the expense submission form, click the "Split Expense" button: This will automatically break out the total into two even amounts which can be edited according to the cost of each item. 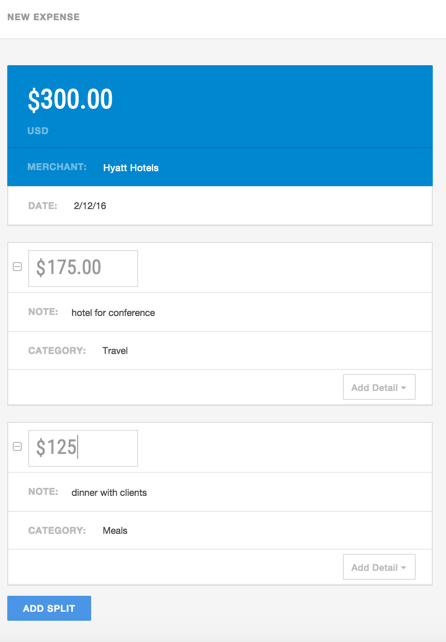 The amounts, notes, categories, and any other meta data can be edited in each item on the expense. 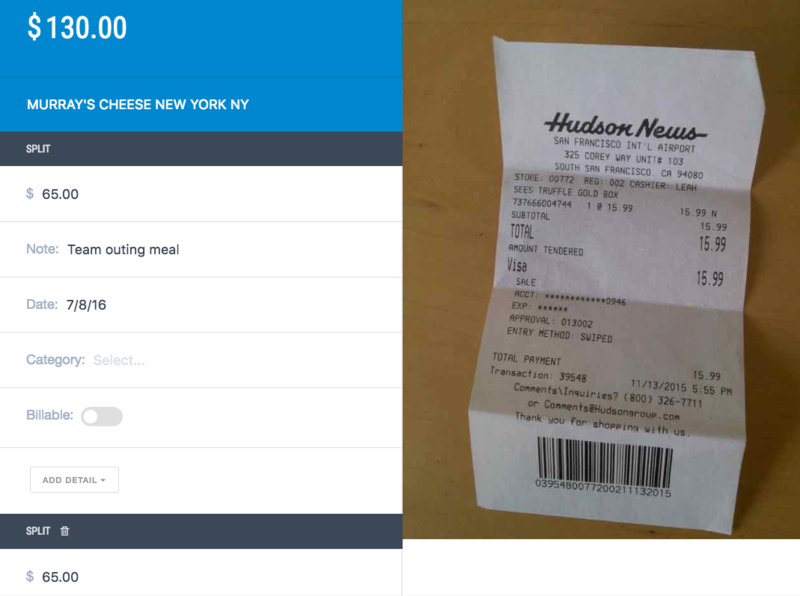 Once the expense is submitted, it will be automatically broken out into two individual expenses with the same receipt image. 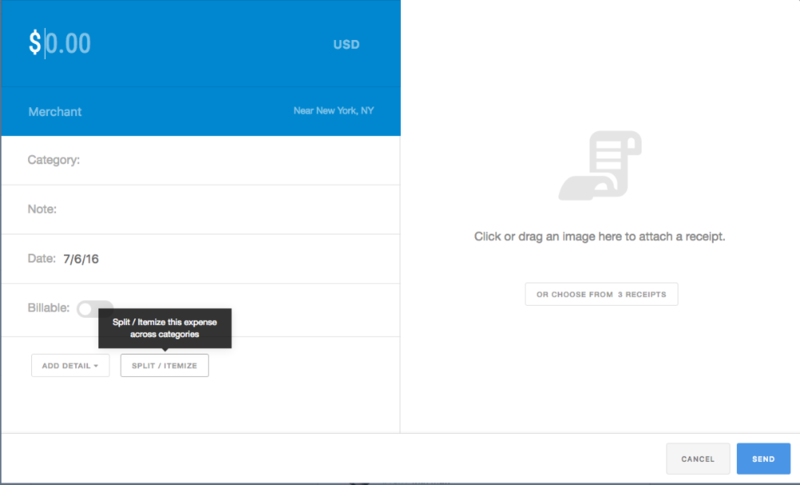 As an admin, you'll see a "split" button below the expense. 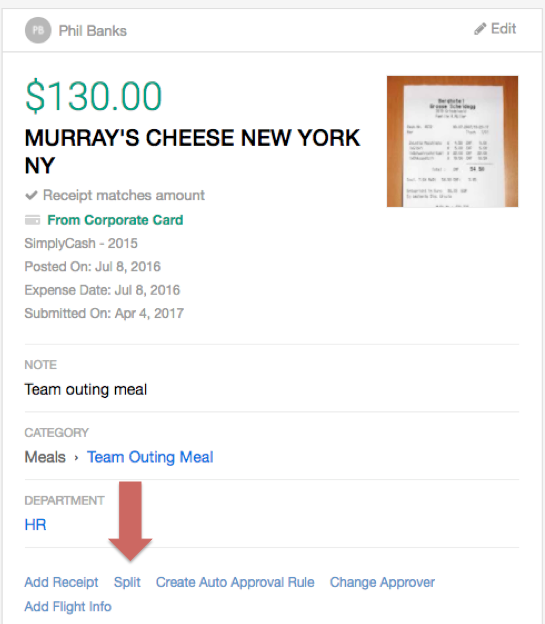 This will pop open the expense window where you can adjust the notes, dates, and amount for each portion of the split expense. 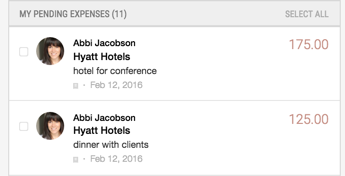 How do I indicate an expense is billable?